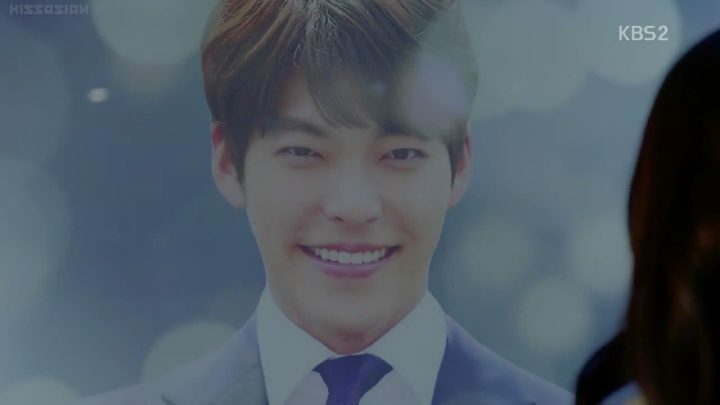 With a star studded cast boasting the small-screen return of both Kim Woo Bin and Bae Suzy, I was excited to start watching Uncontrollably Fond. Luckily, I was not disappointed. The drama kept me emotionally invested throughout its run and broke my heart along the way. 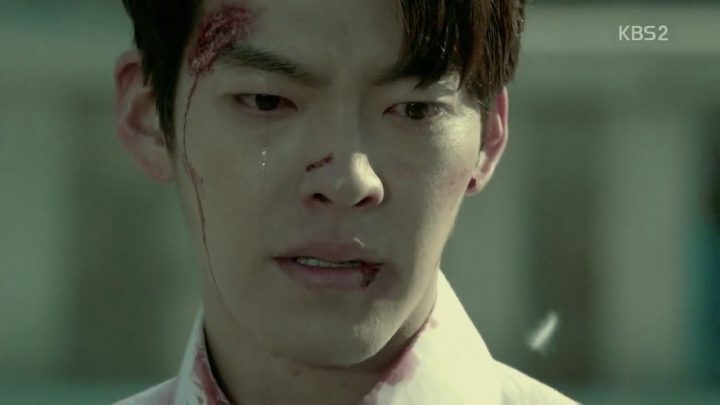 It follows celebrity Shin Joon Young’s (Kim Woo Bin) life closely as he learns that he only has a few months to live. Meanwhile his old love, Noh Eul (Bae Suzy), happens to work as a producer on his documentary. Needless to say, their working relationship leads to rekindled romance as well as heart-wrenching scenes of coping with the brutal reality together. The drama can be a bit slow at time with a predictable and rather lackluster storyline. But with impeccable acting, beautiful filming aesthetics, and memorable emotional moments, I find myself becoming more invested in it. 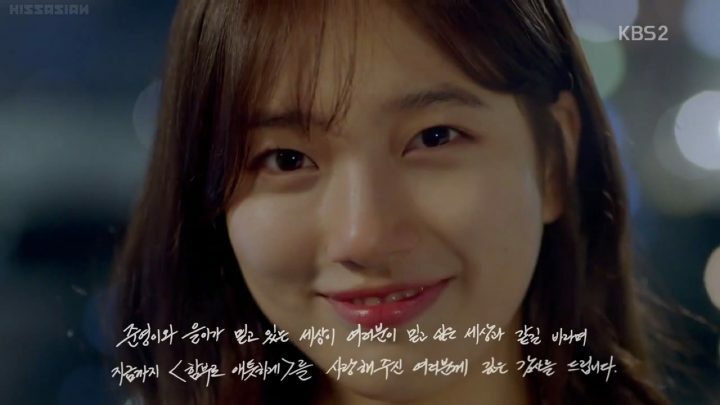 The opening episodes wastes no time and delve right into Uncontrollably Fond‘s premise. We’re introduced to our famous actor/singer hero Joon Young and quickly find out within the first few scenes that he’s dying with only about three to four months left to live. This nearly started the drama on the wrong foot with me. I felt that opening with Joon Young’s diagnosis may not have been the best choice as it doesn’t give me a chance to get to know his character and appreciate what he brings to the story. I hope the drama does a better job of establishing the crucial moments in his life here onwards, and show me why I should care about him as a character. 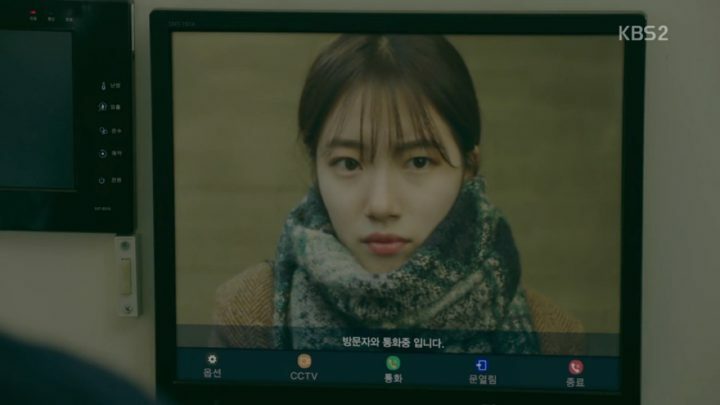 On the other hand, Noh Eul is an unconventional heroines; she’s a money grabbing producer who isn’t afraid to take bribes to let slide covering particularly damaging scandals. Her task at the moment is to get Joon Young to agree to filming a documentary that he previously rejected. While Noh Eul may not want to be put in this position, she needs to deal with it regardless to make ends meet. In parallel, future complications between our leads are being set up early over Noh Eul’s father’s accident. Noh Eul witnessed her father pass away from a hit-and-run accident. Yet the prosecutor in charge switched the driver and indicted another man instead of the real culprit Yoon Jeong Eun (Lim Ju Eun). 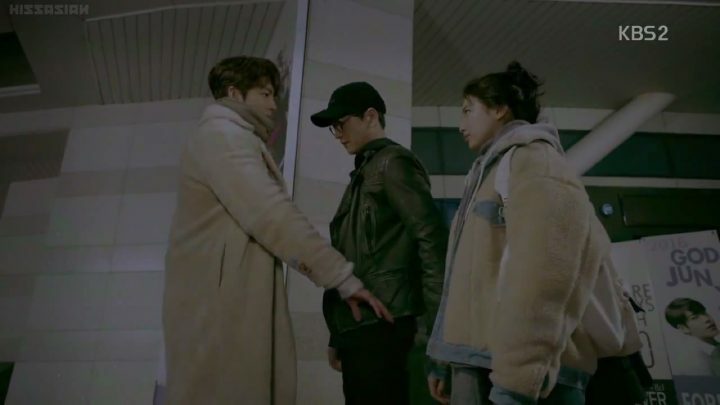 The drama does not shy away from confirming that Prosecutor Choi is indeed Joon Young’s father, thereby setting up a classic case of Romeo and Juliet. Still, I appreciate this upfront approach rather than trying to play the incident up as a mystery. 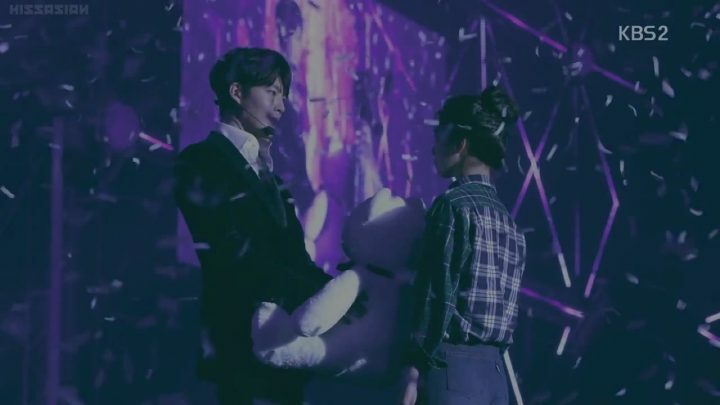 For further context of the relationship between our leads, flashbacks reveal that Noh Eul had a crush on Joon Young in her younger days, but backed off for her friend’s sake. The drama does a fairly mediocre job of setting up Noh Eul’s original selfless nature. But it works to show how she’s changed in the time they’ve spent apart, and that she’ll do anything for money now. Another issue with the past is that the leads’ interactions seemed rushed — one minute Joon Young doesn’t even know who Noh Eul is, and the next, he’s freaking out when she’s being chased by loan sharks. I’m not sure when they became close enough for him to be so genuinely worried about her, but I certainly hope the present day will do their relationship more justice. Nonetheless, I continue watching to find out why our leads had their fall out back in the days. Surprise, surprise, it’s thanks to Joon Young’s corrupt father again. In another flashback, we learn that Noh Eul obtained proof of Prosecutor Choi’s dirty deeds and threatens to end his political career. All the while, Joon Young overhears their conversation and is deeply hurt by the truth about his father and childhood hero, but still felt the need to protect him. 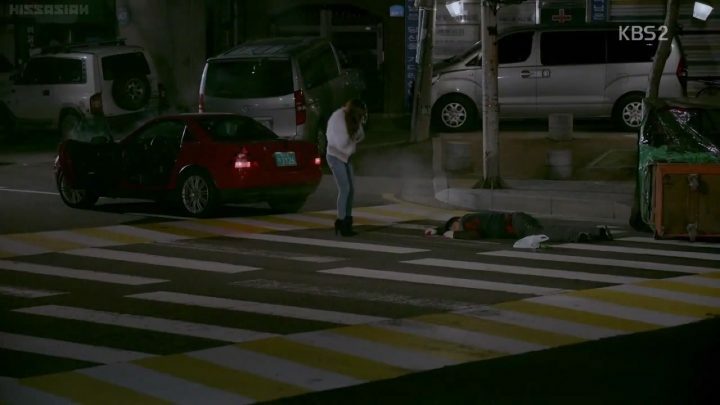 So, he steals Noh Eul’s evidence, but causes her to be hit by a car in the process and things went downhill from then on. 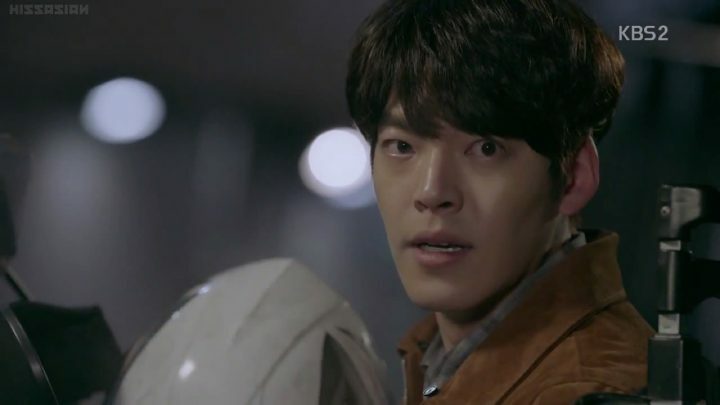 In this whole sequence, I’m both impressed with the drama’s direction on Joon Young’s conflicted character and Kim Woo Bin’s nuanced acting that brings him to life. The next few episodes of Uncontrollably Fond are rightfully very Joon Young focused to provide greater depth into his life. They also offer first looks of a restored friendship and potential romance between our leads as Joon Young agrees to the documentary that Noh Eul was trying so hard to get. As the story progresses, the drama continues to paint a fuller picture of Joon Young’s character. We learn that he quit school cause of how guilty he felt after what he did. He also decided to give up on his dream of becoming a prosecutor like his father, because he believes that prosecutors should be upstanding people and he is no longer qualified. Despite his childhood mistakes, I’m relieved to find a morally strong and thoughtful hero in Joon Young. I’m relieved to find a morally strong and thoughtful hero. Once Joon Young agrees to work on the documentary, he and Noh Eul are conveniently put in close vicinities and numerous situations that help rekindle their old interests in each other. Their relationship that didn’t get a chance to reach full potential when they were young now has a second chance. Rest assured the drama offers plenty of cute scenes to propel the budding romance forward and sweeten the show for its viewers. 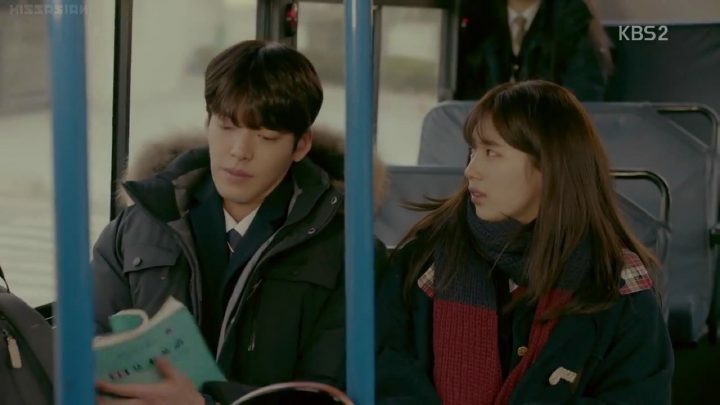 In this section of Uncontrollably Fond, the romance kicks into high gear and takes the center seat. Joon Young publicly declares his love for Noh Eul at his concert, inciting a chain of events. Our couple officially starts dating and enjoys some heart-melting romantic moments. But given the current physical and emotional issues standing between them, I’m sure this is the calm before the storm and it won’t be an easy path to happiness for them. Sure enough, due to a few incidents, Noh Eul and Joon Young become separated for a period of time. 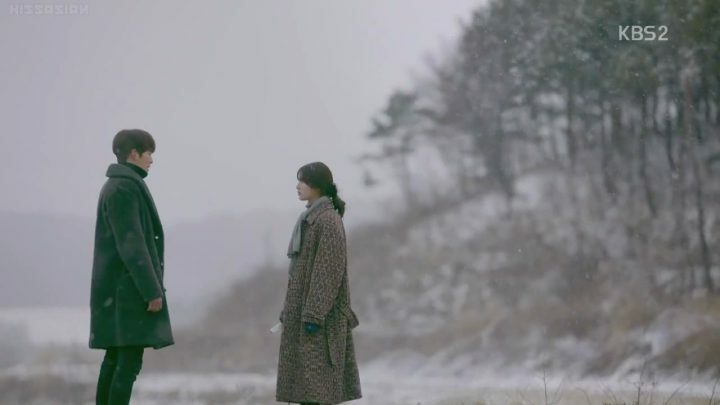 During this time, Joon Young learns the truth about Noh Eul’s father and decides to make a “heroic sacrifice” in order to launch a plan to bring justice to him. I’m pretty tired of these noble idiocies in Korean dramas as they generally accomplish nothing except hurting the other person more. I just hope the drama gets through this quickly and moves onto something more enticing soon given the solid story thus far. Everyone reaches their boiling points as anger and tension runs high while the premeditated final conflicts play out according to expectations. 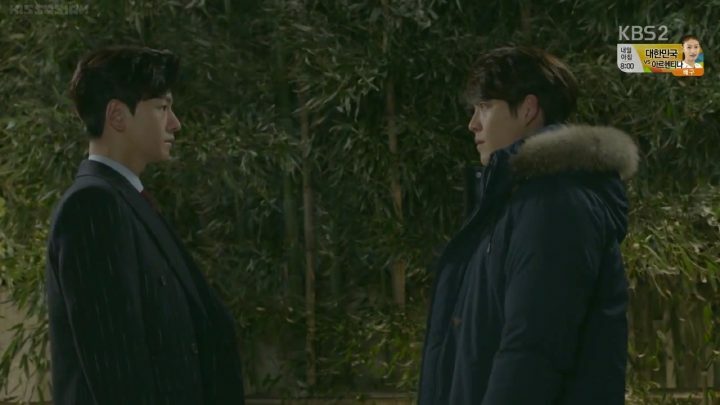 Unfortunately, Uncontrollably Fond takes a sharp turn down south as more incoherent character actions and plot holes manifest themselves. The drama takes a sharp turn down south as incoherent character actions manifest. I’m disappointed to find the drama undoing parts of Prosecutor Choi’s character that made him an interesting villain. Meanwhile, the culprit Jeong Eun acts unreasonably crazy after Joon Young moves further into his plan to expose the case. She’s always gotten everything she wanted up until now, yet it’s unclear why she blames Noh Eul for it. Other side characters behaving equally irrationally made the final stretch of the drama hard to get through. 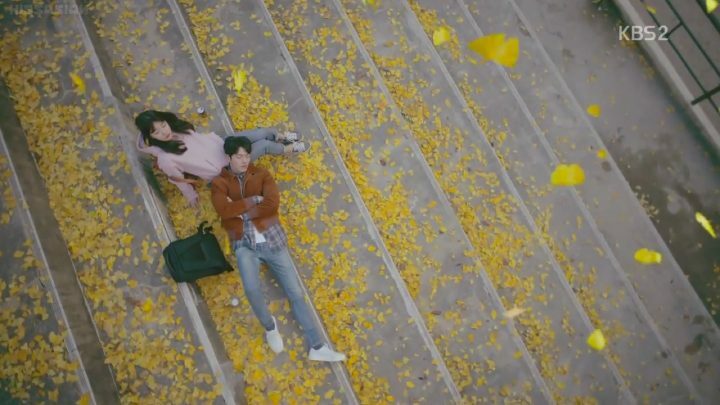 In the final chapter of Uncontrollably Fond, the truth about everything comes to light and our characters wrap up different aspects of their lives. For Jung Eun, that means trying to run away from being responsible, while for Noh Eul and Joon Young, it means spending Joon Young’s remaining days together, as intimately and sweetly as possible before saying his final goodbyes. I appreciate the drama not giving him a miraculous reason to recover just for the sake of a happy ending. So the last few episodes of the drama did a fine job of redeeming itself from the previous downfalls. Uncontrollably Fond was very much a slow, angst-riddled drama filled with tension, romance and of course, heartbreaks. If that’s your cup of tea and you don’t mind sitting through a slower pacing, I have nothing but a strong recommendation for it. However, the drama doesn’t necessarily bring originality to the table. If you’re looking for something unique, you may not find it in this heartfelt albeit stereotypical story. yep! true! 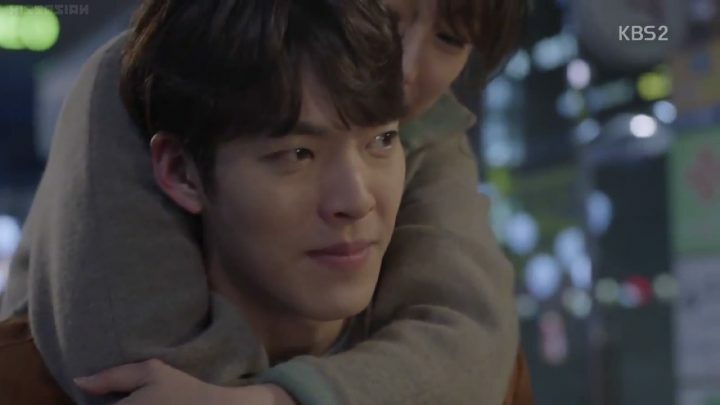 even though woo bin was on another level she was kind of turn off!